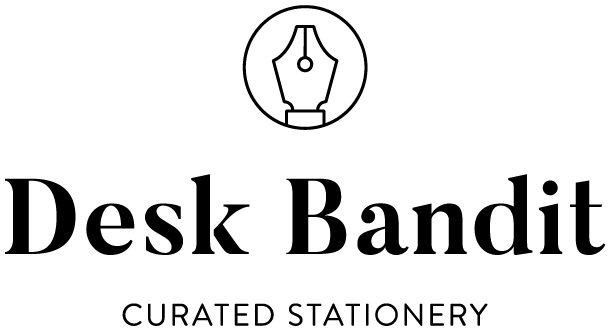 The ink performs as expected from a Sailor-made ink; very nicely lubricated and flows beautifully. It is highly saturated but not so much that it doesn't shade - although it doesn't shade as much as other Sailor-made inks nor some other browns. It doesn't feather (only barely on copy paper) and it doesn't bleed but unlike many Sailor-made inks, this one doesn't take too long to dry. The ink has no sheen, even on Tomoe River and doesn't halo. The chromatography on Valentine's Choco Brown is very interesting and complicated. Starting at the point where the line was drawn onto the paper the ink is a darker blue-grey but it then moves through magenta, light brown, dirty orange and finally a light sky blue. 1) Louis Vuitton Brun Ténébreux, 2) Diamine Chocolate Brown, 3) Visconti Sepia, 4) J. Herbin Café des Îles, 5) Montblanc Toffee Brown, 6) Graf von Faber-Castell Hazelnut Brown. The ink compares fairly well, appropriately, to Diamine Chocolate Brown and is not too dissimilar to Visconti Sepia and Graf von Faber-Castell Hazelnut Brown. J. Herbin Café des Îles and Louis Vuitton Brun Ténébreux are more yellow and Montblanc Toffee Brown is more red. Surprisingly, Valentine's Choco Brown stands of pretty well to water. While the brown colour is almost completely (and easily) washed away, there is a dark grey that remains and is easily readable. This grey is probably the same grey that can be seen on the chromatography where the line is put down on the paper. Browns used to be a colour that I really loved and I still do but I've definitely moved on, slightly. This ink probably would not be my top brown but it's still a brown I enjoy using. J. Herbin Lie de Thé, OMAS Sepia and Montblanc Toffee Brown are the browns I enjoy using the most but I'm glad I inked the ink and it certainly went above my expectations, that were based off the swatch of the ink. 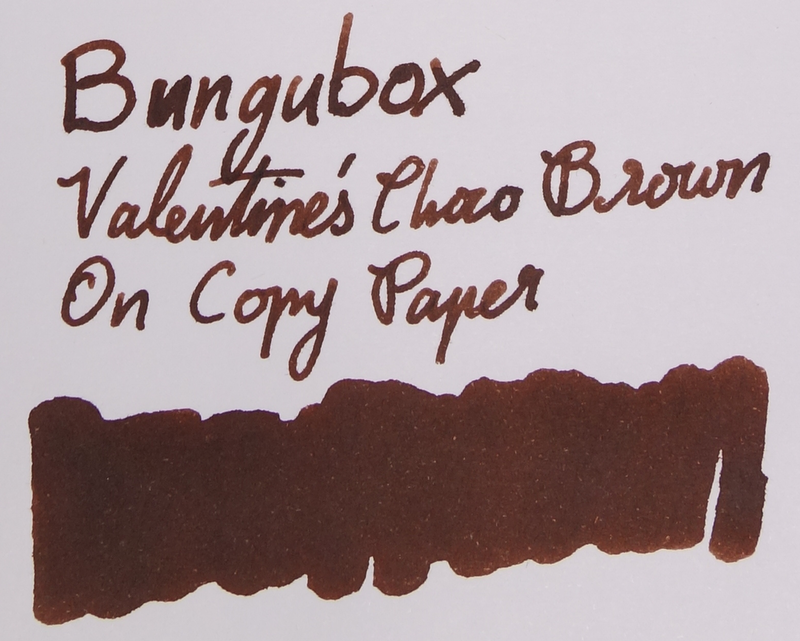 I'm not sure the ink is worth the Bungubox price tag, especially with many comparable colours, but I don't regret getting it and will definitely re-ink. The ink can, as of this writing, be found (as a sample only) at Vanness. Otherwise you might have to wait until next year. I was not compensated for this review and everything here is my own honest opinion. There are no affiliate links.